A large water main break shut down parts of the Center City shopping district late this afternoon. The Philadelphia Water Department is working on fixing that 12 inch main. It happened around 4 p.m. on the 1600 block of Walnut Street, PWD shut it down at 6 p.m. Around 25 properties have been affected including some businesses. The area surrounding the break has been closed to traffic. Walnut Street is closed from 15th to 17th and 16th Street is closed between Chancellor and Locust Streets. Crews are expected to work overnight to repair the main. There is no schedule when the repair will be finished. Authorities are asking for the public’s help in finding a Delaware County woman who’s been missing since last Sunday. 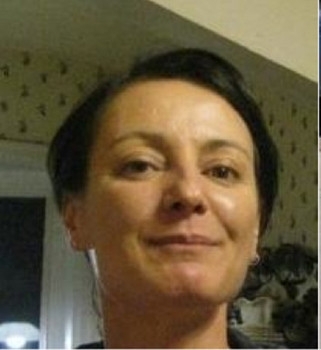 Teresa Mastracola, a 44-year-old Millbourne woman, was last seen entering her work at Delaware County Memorial Hospital. Security video shows her leaving about 10 minutes later. Police are looking for Mastracola’s car, a 2006 silver Mazda 4-door sedan with a black bike rack on the back, and Pennsylvania license plate DTA5563. Canine units have also been searching Ridley Creek State Park where she often hikes and rides her bike. Mastracola shares a house with her former boyfriend. Authorities have talked with him and he is very concerned and cooperative. Teresa Mastracola is 5 feet 7 inches tall, weighs 130 pounds, with dark hair and brown eyes. Anyone with information on her whereabouts is asked to call Millbourne police at 610-352-1450, or 911.